The Lotus Evora is due in the U.S. in May. 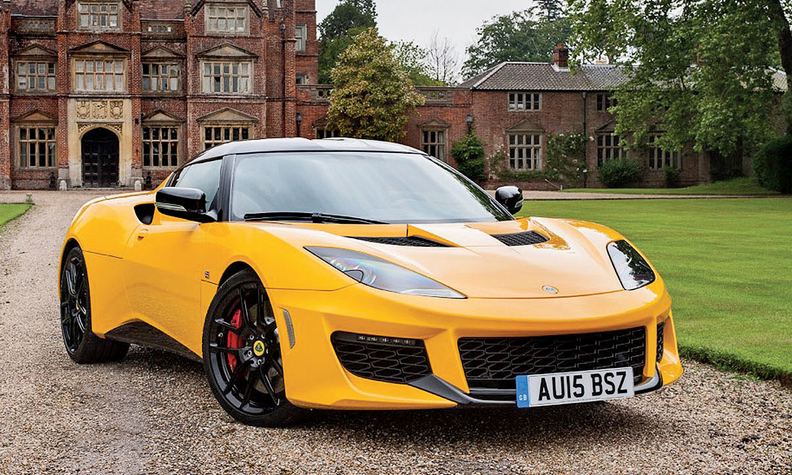 LONDON -- Lotus plans to offer a detuned, entry-level version of its Evora sports car in the U.S. to meet emissions requirements, the company's CEO said. The British sports car maker will relaunch the Evora 2+2 in the U.S. in May with a 400-hp engine. That will follow a year's absence in which Lotus updated the car, including making sure it complied with tougher airbag regulations. The Evora uses Toyota's 3.5-liter V-6 engine with a supercharger. The future detuned version would lose the new car's supercharger to reduce power but improve fuel economy. "Over a five-year period in the U.S. we have to show a 3 percent per year reduction in carbon dioxide emissions," CEO Jean-Marc Gales told Automotive News. "One option is remove the supercharger." Gales favors that option rather than fitting a 2-liter turbocharged four-cylinder. "I don't believe a four-cylinder fits there," he said. "We'll do what McLaren does with the 570S by fitting an engine that already fits into the car," Gales added, referring to the newest model from the British supercar maker that uses a detuned version of the 650S's V-8. He also ruled out using hybrid engines for Lotus sports cars. Lotus has said it will start selling the entry Elise two-seat sports car in the U.S. again but only with an all-new car coming after 2020. Gales expects to sell 400 of the new Evora in the U.S. annually, and says the company already has 250 orders for the new car. He said the roadster version would be launched in the U.S a year later in 2017. The detuned model would come in cheaper than the $89,900 Evora 400 coupe, but no pricing or timing was given.